Take your cookbooks wherever you go! Download to your phone, Kindle or ebook reader of choice and enjoy delicious recipes on the spot. 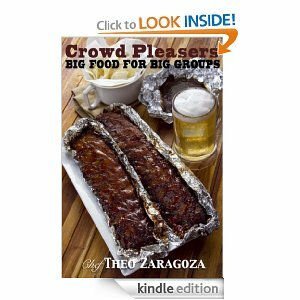 After volume 1, Chef Theo’s Foolproof Favorites, comes volume 2: Crowd Pleasers – Big Food for Big Groups. Featuring five of Chef Theo’s best-loved party recipes, these dishes will make you a hit at any party. (Edited by yours truly). Get it on Amazon: $0.99; $2.99 for Asia Pacific.